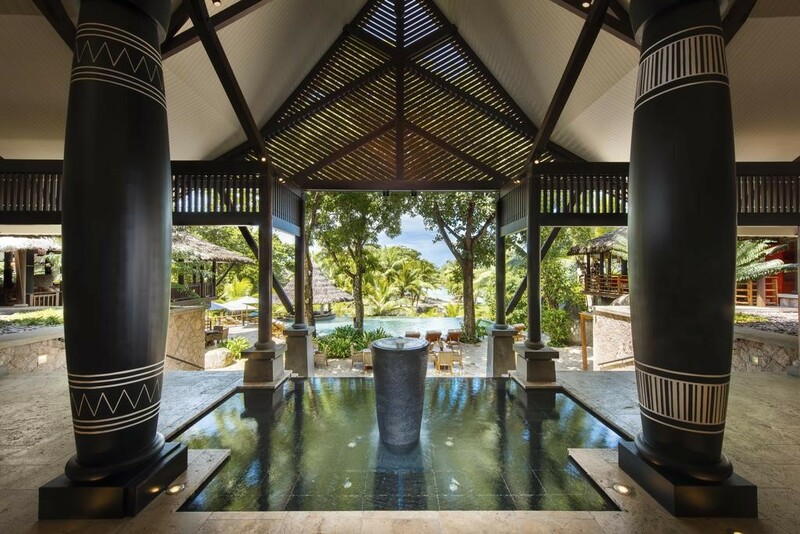 Completely renovated in 2016, following a significant investment, this exclusive and stylish island resort is situated amongst lush natural beauty of the Seychelles. 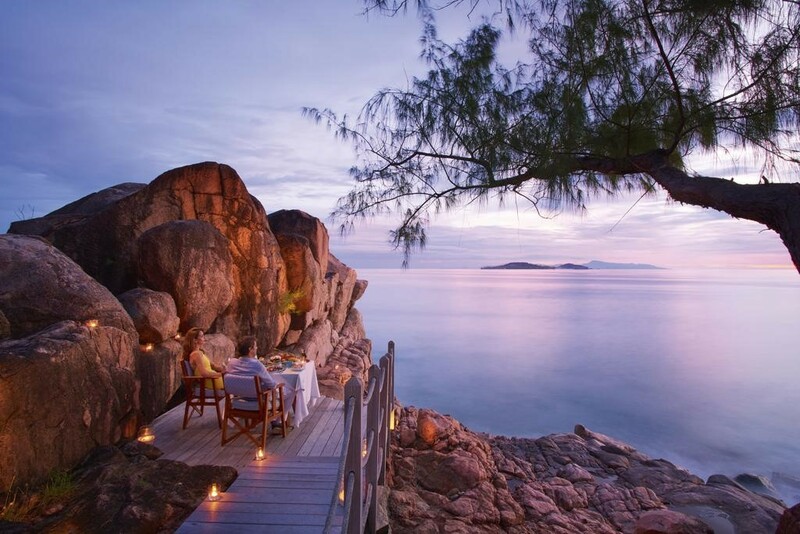 Easily accessible from Praslin, this eco-friendly resort sits on the northwest coast of Mahe, overlooking the warm waters of the Indian Ocean and boasts three sandy beaches including Anse Kerlan’s sweeping white sands – where turtles still lay their eggs in complete tranquillity. Just fifteen metres from the shore, every well-equipped suite and villa blends perfectly with the natural beauty of its surroundings. With stylish new restaurants The Nest and Diva complementing the existing cuisine at Legend, along with barefoot lunch venue Takamaka, guests are simply spoilt for a variety of dining and inviting bar areas. The main building lies crafted into the lush green hillside and there is a swimming pool with three levels, flowing from the hotel to the sea. The resort exudes a sense of tranquillity throughout its rooms, junior suites, senior suites, villa accommodation and Presidential Villa. The rooms are orientated toward the Indian Ocean and are located within 101-hectares of tropical island, perfectly scattered between two pristine beaches, and the interiors boast all manner of modern comforts such as complimentary internet access and a Nespresso coffee machine. The 88 palm-thatched Junior Suites are constructed from wood, marble, limestone and pink granite and provide luxurious style with serene privacy, plus the 8 villas with private pools are ideal for families or couples alike, boasting a Villa Master, pool, massage pavilion and open-air bath. A member of 'The Leading Hotels of the World' this modern island gem has its own 18-hole championship golf course - unique to the Seychelles - Constance Kids Club, four restaurants, five bars and U Spa by Constance, making it an enticing island destination for families and couples alike. All suites and villas are furnished to reflect the surroundings and have air-conditioning, a hairdryer, mini-bar, in-room safe, television, DVD/CD player, telephone with voicemail and a twice daily maid service. With four dining venues including favourite Legend, plus stylish new Diva and Nest restaurants, and five inviting bar areas, guests are simply spoilt for enticing cuisine and delicious beverages. 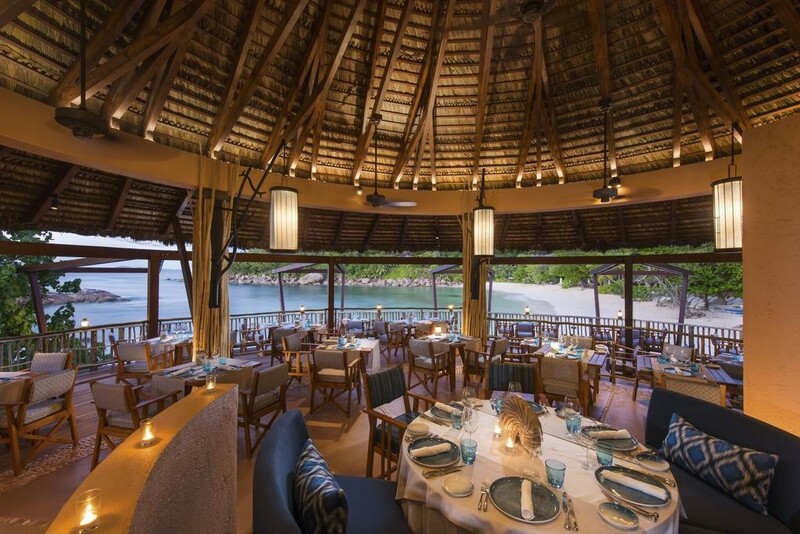 Set across the resort within picturesque locations and boasting fresh seafood, Creole flavours and tempting cocktails - there is a plethora of choice and views to indulge. U Spa by Constance is a state-of-the-art wellness concept boasting five treatment rooms, two double treatment rooms, a sauna, steam room, Jacuzzi, cold plunge pool and hairdressing area. Treatments include a range of U Spa massages, facials and body treatments, as well as Signature U Experiences that are completely tailor-made on the day. 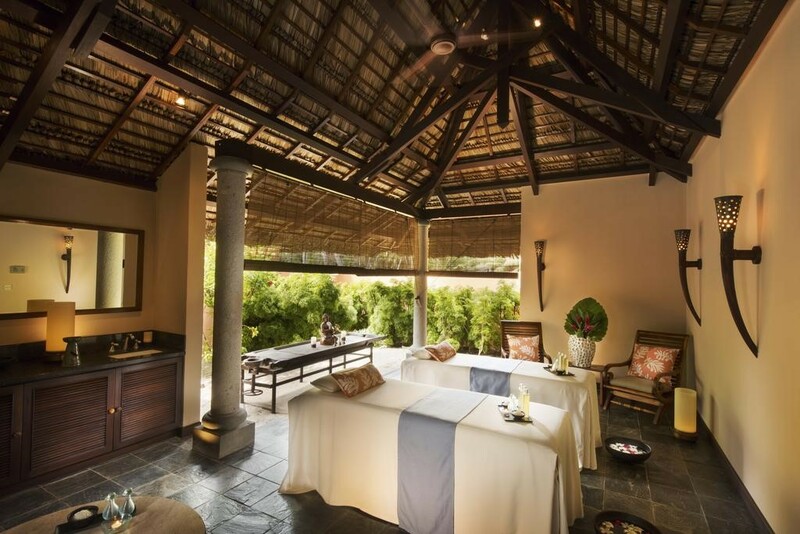 Or, guests can simply select a massage that will help them to relax, rejuvenate or detox. The U Spa also offers a range of expert anti-ageing treatments from the Valmont collection, along with Balinese, Ayurvedic, Thai-Shiatsu and Swedish massages. Guests can use the sauna, plunge pool, steam bath, Whirlpool and fully-equipped gym on a complimentary basis. Boasting an impressive three idyllic beaches, Constance Lemuria is a true paradise for lovers of dazzling white sand and crystal clear waters. Lie back beneath the beautiful sunshine as you overlook the lush tropical greenery and striking granite rock that contrast with the blue of the Indian Ocean. Meet the charming turtles at Lemuria's Turtle Sanctuary, before refuelling with delicious Creole seafood and an exotic island cocktail at beachside grill, Takamaka. 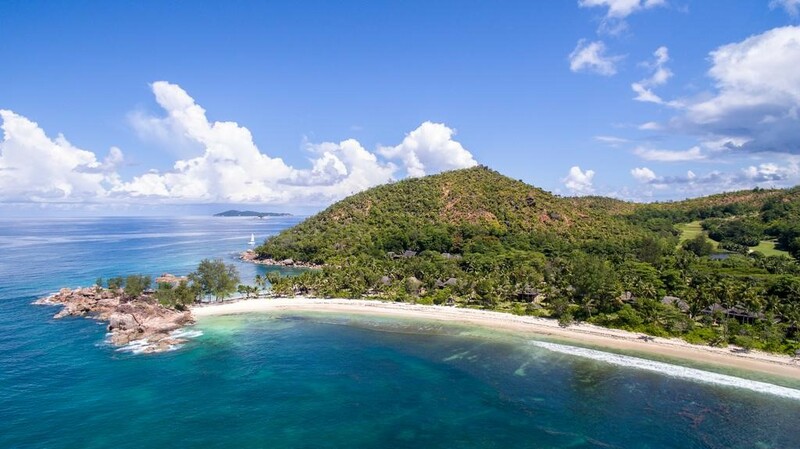 For those looking for adventure above the waves, Constance Lemuria offers a number of thrilling watersports - including water skiing, kayaking and windsurfing. ​Crystal-clear water, fascinatingly diverse marine life and strict conservation rules combine to make the area around the Seychelles archipelago one of the world's best dive sites. Whether you have never dived before or consider yourself an expert, the friendly PADI instructors at the Scuba Diving Centre will ensure that you enjoy an experience of a lifetime beneath the Indian Ocean. Explore pristine granite reefs or enchanting local wreck sites and come face to face with a captivating and colourful underwater kingdom - including Stingrays, turtles, Nurse Sharks and, once a year, the planet's biggest fish: the Whale Shark. This 18-hole, par 70, championship Golf Course, (the only one in the Seychelles) covers an area of 5,556 m and presents an exciting challenge to all levels of players, professionals and amateurs alike. The spectacular course borders the enchanting beaches of both the Small Kerlan Cove and the Grand Kerlan Cove. Palm trees, that allow the light to intermittently filter through, fringe the first 12 holes. From the 13th hole, the course extends over the steep slopes of a thickly forested hill, with breathtaking vistas.